The beloved book series was for generations of readers an unforgettable introduction to the fantasy genre. 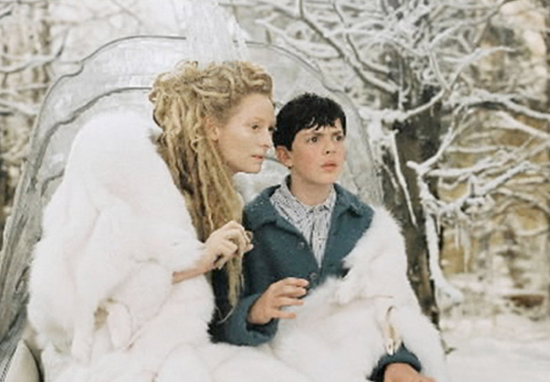 Richly detailed, allegorical and un-put-downable, the series brought us wise Aslan and the adventurous Pevensie children; redemptive Mr. Tumnus and irredeemably wicked Jadis The White Witch. The books made me long to try Turkish Delight – which I still scoff to this day – and fed my lifelong love of walking in the snow. I also blame novelist C.S. Lewis for my risky (and as of yet unfulfilled) desire to give lions a big cuddle. The books have been adapted for television and film in the past, with my personal nostalgic favourite being the 1988 BBC serialisation. The effects may seem a little dated by today’s standards, but it was completely engrossing all the same. Now Netflix are adapting the classic series for a new generation, in an ambitious multi-year deal with The C.S. Lewis Company, and I for one have a feeling it will be utterly magical. Netflix seems to be the very best medium with which to achieve this aim, and I am looking forward to working with them towards this goal. Families have fallen in love with characters like Aslan and the entire world of Narnia, and we’re thrilled to be their home for years to come. This news has sparked plenty of enthusiasm among those who remember being enchanted by the world of Narnia as a child. As someone who grew up reading the Chronicles of Narnia (as part of school assignment), I am actually thrilled to see this. Wonderful, but please don’t screw this, Chronicles of Narnia are amazing books and deserve amazing adaptation. Interesting. I liked the movies but I remember them being flawed in places. Some well chosen actors, though. The historic deal is the first time one company has been given the rights to each of the seven books: The Lion, the Witch and the Wardrobe, Prince Caspian, The Voyage of the Dawn Treader, The Silver Chair, The Horse and His Boy, The Magician’s Nephew, and The Last Battle. Long before Game of Thrones warned us winter was coming, The Chronicles Of Narnia showed us what an eternal winter (but never Christmas!) would look like, with the first book published way back in 1950. Sold in 47 languages throughout the world, the sentimental and cultural impact the novels have had since their publication is truly spellbinding. I personally cannot wait to see this children’s literary classic unfrozen for a new reimagining.